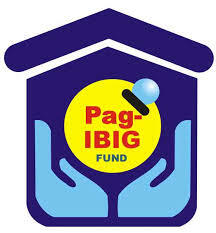 Pag-IBIG Fund has again found a way to further enhance the membership experience of its 13.8 million members worldwide, by partnering with several establishments to make the payment process easier and more convenient for individual members in remitting their payments of Housing Loan (HL) amortizations and individual membership savings (MS), as well as for employers to remit their payment obligations to Pag-IBIG. Members now have an array of payment gateways, through over-the-counter or online transactions, or the use of credit card or mobile phone. “We at Pag-IBIG continuously seek ways to utilize modern technology in providing the best possible service to our members. The directive of Pag-IBIG Board Chairman Vice President Jejomar C. Binay is to embark in innovations that will bring Pag-IBIG at par with the best in the private sector in providing payment solutions to our members, and to do so without sacrificing the quality of our service. Increasing payment channels for our members is a big step towards this direction,” said Pag-IBIG President Atty. Darlene Marie B. Berberabe. MBTC’s ATM machines, or through its mobile payment via SMS and internet facility, provided they have an account with MBTC. Globe GCash, a payment option available 24/7 to Globe subscribers. SM Business Centers (including HyperMarket and Savemore) nationwide. Mastercard Credit Card issued here or anywhere in the world to remit their Pag-IBIG membership monthly. Land Bank’s wePayAccess, as long as they maintain an account in said banks.